Valentine’s Day is just around the corner. Often an intimate dinner at home is much nicer than a crowded restaurant. We almost never go out to eat for Valentines'. 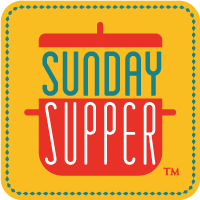 This week, the Sunday Supper Tastemakers are sharing recipes that are an 'Easy Dinner Recipes for Two.' The event is hosted by Candace from Authentically Candace. 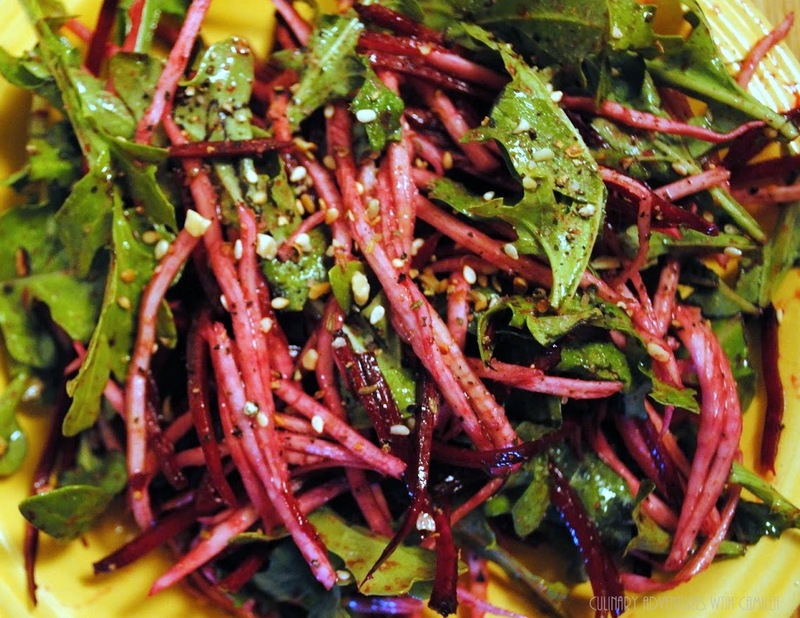 This beet and celeriac salad would be a colorful addition to your Valentines' table. And it's easy to prep ahead of time. 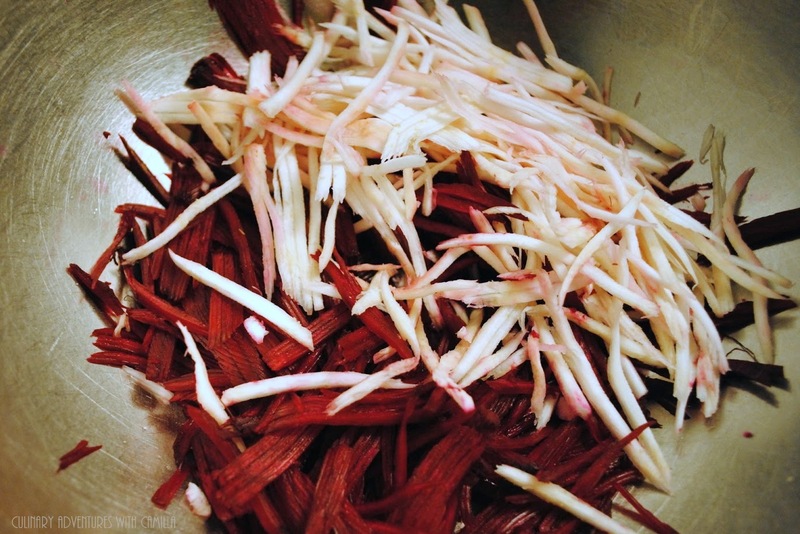 You just toss with the dressing right before serving. 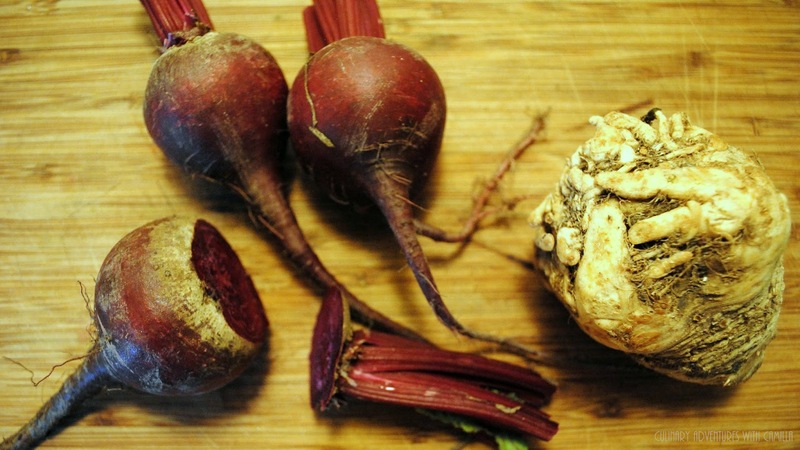 Place the beets, celery root, and arugula in a large mixing bowl. In a cruet - or just a mason jar with a lid - place the apple cider vinegar, olive oil, honey, ground cumin, salt, pepper, and fresh mint. Shake to emulsify. Toss into the beet mixture until completely coated. Place on individual plates. Garnish with sesame seeds. Serve immediately. I love beets and I can always use a great recipe! Thanks Camilla! I'm with you...give me dinner at home on Valentine's Day and let all the other's fight for a table and try to talk over the crowds. Great looking salad, Cam.